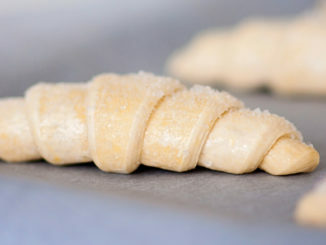 The LATAM (Latin America) frozen bakery market is expected to experiencing growth from its current market value of approximately USD4.3bn to over USD5.7bn in 2024 (with a CAGR of more than 4.4%) a new research from Global Market Insights, Inc. has recently revealed. 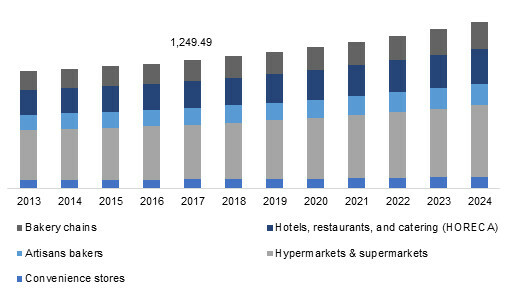 Given rapid advances in retail space and rising disposable income levels in the majority of population, the LATAM frozen bakery market is witnessing a significant growth in recent years. Moreover, the robust outbreak of fast food outlets and restaurant chains have further led the LATAM frozen bakery to expand. The fact that the overall valuation of the LATAM frozen bakery market hit USD4.3bn in 2017 indicates that this particular business sphere stands to proliferate in the coming years fueled by numerous new product launches, rising investment trends and increase attention from industry magnates. As an example of expanding investments by global industry players, the research highlights Aryzta, the Swiss-Irish frozen bakery market player, which has recently announced plans to build a factory in Brazil that will manufacture frozen products. According to the information, the plant will be Aryzta’s fifth in the country. The company is said to be making an BR150m (EUR33.8m) for the bread making facility. Furthermore, the company is looking to strengthen its ties with local consumers including food service outlets like Subway, Burger King and Starbucks. At the same time, Aryzata is supplying frozen bakery products to Prezunic and Walmart in the retail sector. The report attributes the greater pickup in demand for products like bread, frozen dough and viennoiserie in the region to the large-scale expansion of fast food chains such as Subway and Domino’s. Bread is said to account for more than 60% in the overall LATAM frozen bakery market share by volume in 2017. The category is estimated to cross 63% by 2024. 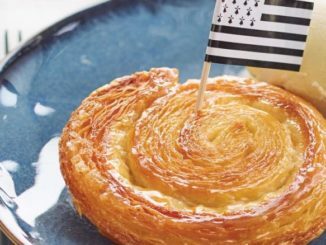 The viennoiserie segment has further locked its prominent industry share in terms of revenue, with valuation exceeding USD7000m in 2017. When speaking of robust segment growth, Columbia – the third largest country in Latin America after Brazil and Mexico – has revealed itself as a lucrative investment ground for potential stakeholders due to positive growth in the fast-food industry. For example, Grupo Bimbo S.A.B. 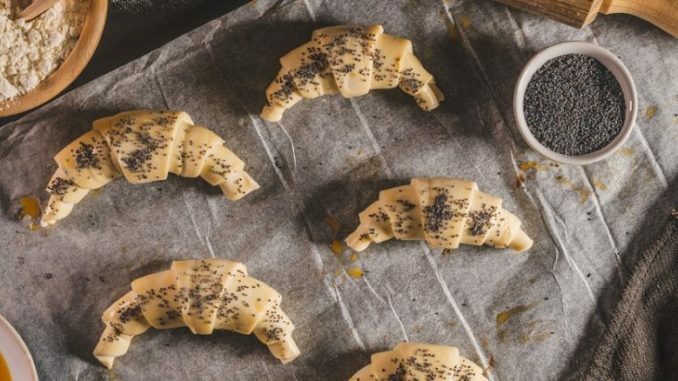 de C.V., which acquired Colombian frozen food company Panettiere in 2016, is aiming to expand its participation in the growing in-store & food service bakery channels in the region. According to the research the most important factors driving Colombia’s frozen bakery industry is the robust proliferation of the packaged food industry in the last few years. 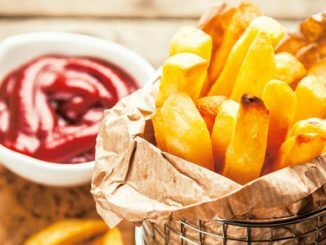 The annual per capita consumption of the processed foods was projected to be more than USD330m in 2016, noted the National Association of Colombian Businesses. This growth has furthered the product demand for frozen dough particularly to make burger breads and pizza bases, in turn fueling the LATAM frozen bakery industry expansion. Insiders claim that based on the regional landscape of the LATAM frozen bakery market size, Columbia is estimated to register a healthy CAGR of 6% over 2018-2024. The development of different retail channels coupled with the increasing number of hotels and restaurants leading to significant increase in bakery products demand such as cakes, pastries, and breads, has been attributed to the overall regional growth. Growth in this business category is further likely to gain prominence with prominent domestic players including Groupo Bimbo, General Mills, BredenMaster, and Europastry and other international giants investing in the region to have a preferential access to the faring F&B industry within the continent. Kitchen Technology: What’s Hot in 2017? Foodservice Tech: How We Can Make an Impact!